The U.S. State Department has approved the sale to Morocco of 162 enhanced Abrams tanks for an estimated cost of $1.259 billion, says the US Defense Security Cooperation Agency. This military sale will support the foreign policy and national security objectives of the United States by improving the security and capacity of a major Non-NATO Ally, stresses the DSCA in a press release. The deal includes support equipment, spares and training. It will contribute to the modernization of Morocco’s tank fleet, enhancing its ability to meet current and future threats. 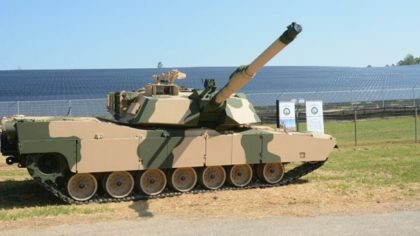 “These tanks will contribute to Morocco’s goal of updating its military capability while further enhancing interoperability with the United States and other allies”, says the US Defense Security Cooperation Agency. According to US Excess Defense database, Morocco received in 2016 vast quantities of excess hardware, including 57 000 M16 assault rifles, 3 700 M240 machineguns, 50 Mk 19 40 mm grenade launchers, 1 828 .50 caliber M2 machineguns, 908 7.62 mm rifles, 17 000 M203 grenade launchers, 4 500 M60 machineguns and 7 000 M249 machineguns. Vehicle deliveries for 2016 included 400 M113 armored personnel carriers, 100 M915 trucks, 110 M916 trucks as well as dozens of cargo trailers, fuel carriers, recovery and other vehicles.